Captured in evocative locations around the world, Reither’s photographs are expressive evidence of the raw and wondrous truths still to be found in the landscape. Born and raised around Big Sur, California, Scott Reither has achieved international recognition as a fine art landscape photographer with a taste for the dramatic and the transcendental. His long-exposure photographs sensitively record the atmospheric effects, lyrical beauty and emotional revelations that occur through the combination of light, space and time. Captured in evocative locations around the world, Reither’s photographs are expressive evidence of the raw and wondrous truths still to be found in the landscape. Scott Reither lives in Maui with his wife Rebecca and travels frequently on photographic projects. The conspicuous beauty in Scott Reither’s photographs is only the beginning of their alluring appeal to the senses. Reither has the deft ability to show more than what is initially observed. Consciousness matters as much as composition, color or the specific location of each scene. The work is meant as a meditative exercise on purity, on what it means to be present and aware. Reither’s more than 40 individual honors at the International Photography Awards – the Oscars for the camera crowd – certainly prove the value in the way he pays attention. But such recognition is the corollary and not the cause of the work – the reward for Reither is when his photographs move others to emotion and awareness. Reither came to his career as a fine art photographer by way of his love for exploration. 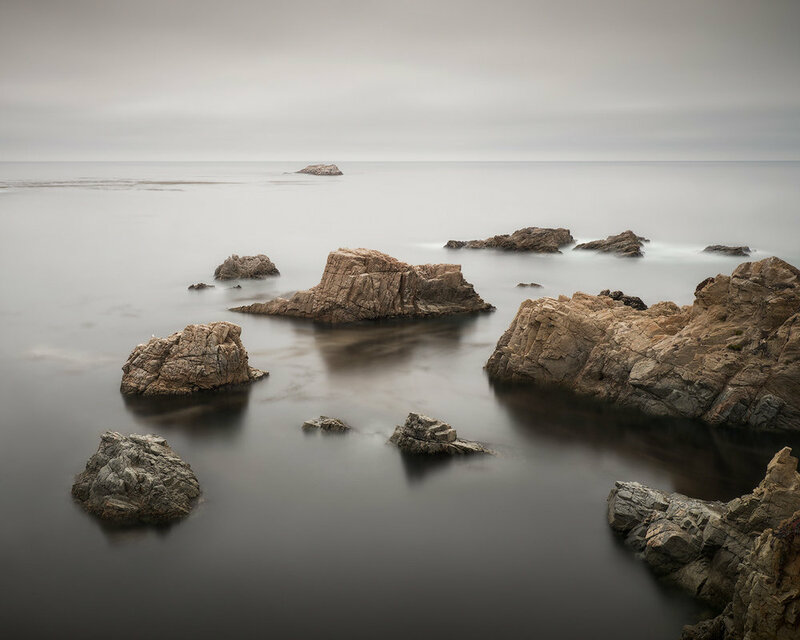 Born and raised in Monterey Bay, Reither happily fell under the spell of Big Sur - the idyllic stretch of the California coast that once inspired Edward Weston in his photographic journey. But kids rarely know the true value of beauty – or golden light - until they get out of their own backyards. Escape is often an entrance point into self-awareness. In his late 20s, Reither set out for an extended ramble through southeast Asia with a camera as an afterthought. Once cracked open to experience, he learned to express through imagery what it means to be viscerally alive and to show with his camera what is true to his heart. The first photograph he ever sold was of a temple in Vietnam. His work was spiritually grounded from the start. Reither has brought the same purposeful attention to his current home base of Hawaii - Maui has been his stomping grounds for over 20 years and he has a keen eye for what makes it special. His photographs are like love poems to the raw beauty of these ancient islands. But as with all of his work, Reither strives to create something more holistically valuable in the way he sees a landscape. His compositions are skillfully executed to be meditative more than contemplative. Their deceiving simplicity is part of their strength. Reither wants to settle the mind and alert the senses. And he knows how to embrace beauty for all its worth. Now known internationally for the theatricality of his color photographs and the expressive clarity of his black-and-white work, Reither remains soft spoken and well-intentioned. Some years back, he lived for a month in a Zen monastery and surrendered to silence. He learned to be respectful of his surroundings and mindful of the value in every present moment. Doing without communication or technology or many of the daily expectations that govern a life – all those supposed “losses” – made Reither more alert, more awake to the fullness in every experience. His photographs do much the same thing – by accepting the simple purity in beauty, he allows us to marvel at its power. A large-scale UP! piece was acquired and has become part of the Art in Public Places Collection for Hawaii State Foundation on Culture and the Arts. Every year, over a million people see the works in places such as airports, libraries, and schools. 2018 Hawaii State Foundation on Culture & the Arts - UP! 2015 IPA Awarded in Fine Art - Landscape for UP!